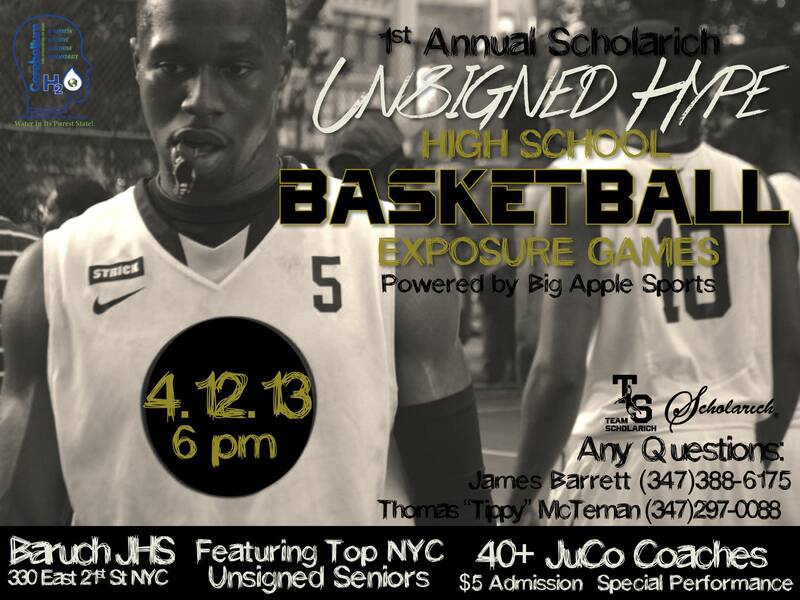 On April 12, 2013 Cerebellum® H2O will team up with Scholarich® & Big Apple Sports to bring to NYC the 1st Annual Unsigned Hype Exposure Basketball Games, featuring NYC’s 40+ best unsigned high school basketball players at Baruch JHS, NYC. NYC is known as the cradle for basketball legends, it is no secret NYC high school basketball was and is currently at the highest competitive level. Some of the very best that ever played the game are those that played high school basketball in NYC, such as Kareem Abdul-Jabbar, Power Memorial HS, Connie Hawkins, Boys and Girls HS, Roger Brown, Wingate HS, Kenny Anderson, Archbishop Molloy HS, Kevin Joyce, Archbishop Molloy HS, Lenny Wilkens, Boys and Girls HS, Bob Cousy, Andrew Jackson HS, Tiny Archibald, DeWitt Clinton HS, Bernard King, Fort Hamilton HS, Albert King Fort Hamilton HS, Sebastian Telfair, Abraham Lincoln HS, Stephon Marbury, Abraham Lincoln HS, Billy Cunningham, Erasmus Hall, HS, Dolph Schayes, DeWitt Clinton HS, Chris Mullin, Xaverian HS, Walter Berry, Benjamin Franklin HS, Mark Jackson Bishop Loughlin HS, George Johnson, New Utrech HS, Malik Sealy Saint Nicholas, HS. As the official hydrating beverage for the Unsigned Hype Exposure Basketball Games on April 12, 2013, Cerebellum® H2O will be there to properly hydrate all participants and coaches. Cerebellum® H2O™ is the Ultra-Premium, All Natural Water, naturally sourced from an underground aquifer – giving it a unique purity, taste and alkalinity. As a 2013 Academy Awards of Water Finalist, Cerebellum® H2O™ continues to practice the highest standard of water packaging and retrieval with best environmental practices and highest standards. Cerebellum® H2O is also committed to educating school aged young adolescent about the need for proper hydration, as well as offer critical pedagogy that transform how students learn about the brain and nurture their bodies through healthy habits. By helping influence an early healthy lifestyle education, Cerebellum ® H2O hopes to inspire young adults to advocate and influence others in their communities to rethink their habits and become dedicated toward living and maintaining a healthier lifestyle. Natural Water contains what could be the purest water ever, thus making Cerebellum® H2O™ one the best tasting water that you will drink. The Cerebellum® H2O™ all Natural Ultra-Premium pH water is never exposed any other potentially-harmful impurities. The water is UV treated, micron filtered to ensure purity and a memorable clean crisp taste, just the way Mother Nature intended. Quite simply Cerebellum® H2O™ is one of the purest all natural premium water in the market. 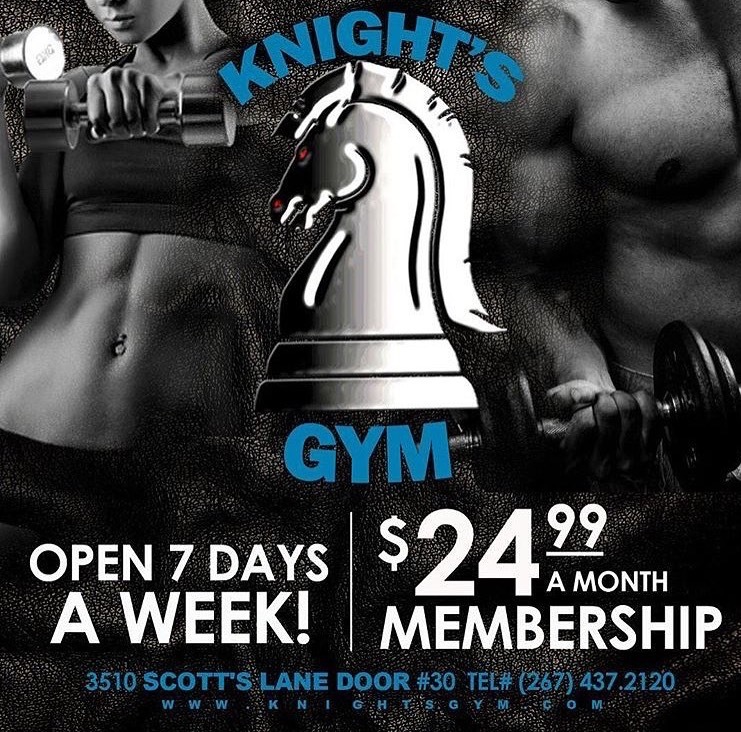 Good for the mind body and spirit. Visit www.CerebellumH2O.com for more information about Cerebellum H2O. OTHER FEATURES: Live Entertainment and Scouting Services; games are publicized to the dozens of college coaches coming to NY for Exposure weekend.